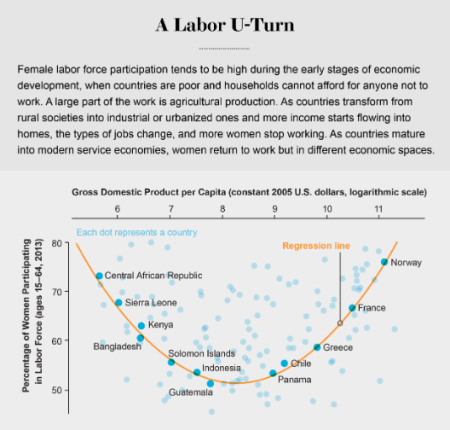 So there’s an article in Scientific American called How to Close the Gender Gap in the Labo(u)r Force (I’ve added a `u’ to `Labour’ so that it can be understood in the UK). I can see a man walking a dog in the pattern of points to the top right: can I get this observation published in Scientific American? I’m strongly of the opinion that this opprobrium is misplaced, misdirected, and ultimately entirely counter-productive. It plays completely into the hands of the “leftists/liberals/PC orthodoxy/feminazis are crushing free speech” brigade. Conradi didn’t, as some have claimed, completely ignore the “other side”; for one thing, he points out that the variability hypothesis — which Strumia unblinkingly takes as a matter of received wisdom — is “divisive” and “by no means universally accepted”. It’s a profile of Strumia, not a debate or a well-balanced discussion piece. One might as well take the Times Higher to task for not including a well-balanced rebuttal from a VC or PVC of my comments about “corporate uni bollox” in this. Moreover, wind back a couple of years and we find, also in the pages of The Sunday Times, a double-page feature on Angela Saini. Simon Baron Cohen et al., whose work Saini roundly and rightly criticises in the piece, could well have taken umbrage at the lack of focus on their counter-arguments (such as they are.) But the piece is, in essence, a profile of Saini. The target of our opprobrium should be Strumia (with whom I am currently engaging in the comments section of my previous post) and his pseudoscience, not The Sunday Times or Conradi, especially when the latter noted on more than one occasion that there was intense criticism of Strumia’s stance. Those of us who strive for equality, diversity, and social justice are sometimes not the most cognisant of, to use the buzzword du jour, political “optics“. (And I very much include myself in the criticism here.) We should always consider just who might be in our audience. If it comprises solely those who share our principles then, in effect, why are we preaching to the converted? If, instead, we want to try to convince readers of The Sunday Times (who may well be slightly more towards the right of the political spectrum) that Strumia’s ‘analysis’ is bunk then is arguing that the article should never have published really the most productive approach to adopt? Doesn’t this live up to all of the stereotypes of the left that a more right-leaning Sunday Times reader may accept? Let’s just focus on highlighting the glaring deficiencies in Strumia’s ridiculous “physics was invented by men” and “citation counts are directly related to IQ” assertions. Arguing that his views shouldn’t be published only serves to strengthen his (and his supporters’) martyrdom complex and, worse, creates the impression that we have something to hide. His pseudoscience speaks for itself. Alessandro Strumia is back in the press again. Earlier this month CERN decided to sever all ties with him due to the fallout from that presentation. I’ve written about the Strumia case previously, both here at the blog (at some length — see this and this) and in the pages of Physics World, so won’t rehash the many arguments against his thoroughly biased and pseudoscientific claims about women in physics. Prof. Strumia also got in touch with me in January, following my criticism in Physics World, and an e-mail exchange ensued. I’d have liked to have made that exchange public here at Symptoms… but Alessandro preferred not to have our debate in the open. — women don’t like physics, Sunday Times, March 24) claims that his views on women in physics have been censured due to “excessive political correctness”. Many years ago, the physicist Robert L Park highlighted a key proviso for those who opine that their “radical” theories are being stifled, viz. Your article on CERN’s severance of ties with Strumia, while refreshingly even-handed, didn’t quite capture the deeply pseudoscientific tenor of his “analysis” (and I use that term advisedly). Prof. Strumia asserts, on the basis of a fundamentally flawed and credulous set of suppositions, that the IQ of the authors of a scientific paper scales directly with the number of citations accrued. En route, he confused correlation with causation, cherry-picked his cited sources to a remarkable extent, and indulged in overwrought rhetoric more akin to an amateur YouTube pundit than a professional, established scientist speaking to his peers at a conference. Strumia’s presentation was a masterclass in what Richard Feynman, the physicist’s physicist, described as cargo cult science: to the untrained eye it looks scientific, but the essential ingredients of objectivity, rigorous self-criticism, and lack of ideological bias are sorely missing. Although I don’t agree with Strumia being dismissed for his reactionary views, his time would be better spent on informing himself about the complexity of the underlying science than crying victimhood at the hands of “The Establishment”. Might I recommend Angela Saini’s “Inferior: How Science Got Women Wrong“?